"Useful analytics and datawarehouse service for marketplaces"
Great system for traffic gathering and analytics from different sources. Useful service for data warehouse development, really helpful when you need fast and stable traffic gathering from your site, mobile apps, and CRM system. We added several types of streams for different integrations with other systems like CRM, ad systems. It is very useful to track data from these systems and use in for full-service analytics. Great help page with detailed instructions and useful recommendations. It is very solid service for day-to-day traffic gathering, without lock outs. Sometimes you need help from support for tricky moments with codes and implementation. But support works really quick and answer all questions you have. This service is very useful for analysts, marketing teams and growth teams. It helps to be more productive and grow your product faster. Also, it reduces the time for implementing scripts for different integrations and help you to reduce the time of your developers. Web traffic gathering from the different part of service - mobile apps, site, back office. Use instrument for attribution modeling for traffic analysis and marketing. Reduce time for development web traffic analysis scripts, and free more time for growth. With BigQuery use owox services for data warehouse development with dashboards and real-time analytics. Different teams now have acess to all data and dashboards about traffic, data from different ad systems and data about users behaviour. "Thanks Owox for thier job!" I enjoy how fast it is to integrate the OWOX BI in our business. Just 3-4 months later, we combined our data from different sources in one system and got raw data for processing and report building. I’m sure it’s vital for online stores to have a single interface for working with all your data. If you need a quick integration, you’ll have to pay for onboarding. Otherwise, you might spend some time, making your way through the guides and videos. I believe that OWOX BI is useful not only for big companies but for small online businesses too if they need to manage their marketing campaigns productively. We needed to bring together data from disparate systems: Google Analytics, ad services, a call tracking system, paid search service, and so on. Thus we realized how they all influence each other.
" We use more than a year - a great tool"
Technical support responsive, quickly react, understand the problem and can provide real help. Problems from the service for all time was not. Possibility of obtaining data without sampling. Data from the advertising system may arrive with a delay. Prices for someone may seem high. Owox is used to import and merge data from various systems, and further processing and storage in BigQuery. The service is a ready-made multifunctional solution for us, and it copes well with this function. "Very good solution for Cost Data Upload to Google Analytics"
I like constant updates and improvements, even though there’s a whole lot of new services and integrations. One of the cool features is that you get notified when there are any misspelled or missing UTM parameters in your ads, with advice on how to correct them. You can also upload cost data for a long span of time. For example, 6 months, like in our OWOX BI plan. Some of the service emails need to be enhanced. Pretty high pricing from the beginning if you need something more than a free plan without streaming to Big Query. I can recommend the OWOX BI Pipeline to any business with 2 or more ad sources aside AdWords. This will help you see the big picture of your data! We use OWOX BI Pipeline to store structured cost data that is linked to the traffic sources, in Google Analytics. It allows us to build up end-to-end analytics systems for our customers: we export cost data, combine it with the data about revenue, to see the real return on marketing investments. "Easy to use and automate your cost data to GA"
You can automate import non-Google Analytics advertising data to Google Analytics without doing it manually with OWOX BI pipeline. The data can be import including the cost, click, and impression data. Not only that, they will also allow it you to pull the non-GA ads historical cost data up to 6 months! It's a timesaver! Using OWOX BI will help you automate and saved a ton of time on exporting and importing the cost data to the Google Analytics from FB ads. Everything's automated from exporting to importing, you can right away focus on growing your business and planning the strategy for your online advertising. "The best solution for importing your data"
Our main goal was to find proper products that could help us to conduct a well-timed analysis of all the marketing initiatives, correct the bids in ad services and properly re-allocate our budget. To be more specific we had to collect data on about 30 metrics necessary, like ROAS on two types of attribution models, CPC, CTR, and others. OWOX BI products became the best solution for our company. We are completely satisfied with these products. "Great tool to explore valuable insights"
I’d say OWOX BI was created for professionals who really want to bring their business to success. Using the service, I now collect tons of valuable data from different sources and draw insights that help me to adjust my marketing strategies. With OWOX BI, I benefit from great functionality, fast data transfer, and comprehensive technical guides. I had to educate myself on some analytical issues. It took some time but I now can put this knowledge to good use. This software can be used in many ways. It helped me to merge data from traffic sources, CRM system, and website. Now I can quickly match and calculate many important metrics like ROAS, CTR, CPC by importing data to BigQuery. I found that not all ad services are as effective as I thought they were. More to it, I realized that emails can increase online sales. In short, OWOX BI is a helping hand that guides my way to the right business decisions. "Professional service with great support"
It’s straightforward software from the marketing perspective. There’s great potential behind the system. It allows you to export piles of data from excel, ad services, CRM system, website, call-tracking tool and to merge it all on a dashboard. Also, it’s possible to tweak over 20 marketing metrics in order to explore valuable insights for business. Sometimes it was difficult to understand how to calculate some specifically-tailored metrics. Though, their support manager responded quickly to my queries. I use OWOX BI to automate data consolidation from 6 different sources. The service helps me to collect loads of marketing data, including advertising costs, user sessions, orders via phone and conversions from the CRM system. This simplifies data analysis because all data is now accessible in a single interface. I also discovered that OWOX BI can measure ROPO-effect. Eventually, I managed to optimize budget allocation and increase sales by 12% through online advertising. "Fast data import and intuitive marketing reports"
The software is useful for data collection, processing, and building reports, especially when you work with many channels and traffic sources. OWOX BI lets us create intuitive reports with outlined parameters and view the needed metrics. The product is multifunctional. It allows you to transfer cost data from Google Analytics to BigQuery. Basically, the system brings together all the information and helps you organize it in the most convenient way. There isn’t anything to dislike. They constantly update platform based on customers needs and improve the service. With OWOX BI, we complete dozens of tasks. We import data collected in Google Analytics, ad services, CRM tool, and Google Sheets, transfer it to BigQuery and then customize reports to draw essential KPIs. It saves so much time in the process. Plus, we now can build reports to evaluate the performance of new features on the website and test changes in customers’ behavior. This helps us to measure the effectiveness of new implementations without the need to do manual work. No way we could achieve it without OWOX BI. Thank you, guys! "It’s a winning solution for marketers"
OWOX BI is a great service in every sense. Other than fast data import from all kinds of platforms, they have fantastic support staff who assist along the way. The service allows you to create all sorts of marketing reports with over 30 metrics at your choice and put all that on one dashboard. Whether you want to conduct cohort analysis, collect essential marketing KPIs, or evaluate each user session, OWOX BI can help you tackle your marketing challenges. Hardly anything at all to spoil my experience with this service. OWOX BI helped me gather user data from the website, mobile app, and CRM tool. It lets me set an automatic import to Google BigQuery and create customized reports with all user sessions. This allowed me to see the weak spots and improve them to motivate customers to complete orders. As a result, I’ve got an awesome 14% increase in ROI the last month. "A timesaver with great functionality"
OWOX is a timesaver with great functionality that allows you to collect and merge enormous amounts of data and analyze it in a few hours instead of days. It’s a key solution for everyone who wants to avoid human errors in calculations and get all data in one place. Other than that, this product provides excessive information on ad costs and shows accurate reports. It’s somewhat hard to understand it if you are not a web analyst. However, OWOX has responsive customer support and helpful articles on the website. I use OWOX as an end-to-end analytical tool. It took me some time to figure out how to optimize all data processes. But now I use various metrics to evaluate users behavior on the site. I import all collected information in Google BigQuery, and this doesn’t take long. Then, I create reports on custom metrics to see the actual revenue and find out what channels brought the profit. "Fantastic solution for marketing teams"
I love that OWOX BI helps my team to build really valuable reports that include as much information as possible. The service can digest huge portions of marketing data in a single serving. Basically, you can view and accurately calculate marketing metrics in one system and also, see what channel has brought more revenue to your business. We had a hard time with a few filters in some reports but then we found an explanation in the help section. Our team collects data from the website, CRM system, call tracker, and ad platform. Plus, we have a physical store. It was almost impossible to accurately calculate true revenue, and we actually got different numbers every week. OWOX BI is our rescue ranger. It automatically gathers all information, imports it to Google BigQuery, and from there, we manage everything on a single dashboard. As a result, we not only have a clear vision of our budget spend but are able to measure the ROPO effect on business. "Great service for quick data import and comprehensive marketing reports"
If you need something more optimized than Google Analytics, this tool can handle even the most complicated marketing tasks. You can transfer and merge data from different channels, CRM tool,a call-tracking system,create massive reports, and do even more with unsampled data. Basically, OWOX covers all marketing needs and helps to improve your strategies. There’s nothing that can’t be figured out. Their tech team is very professional, so I got answers to every issue I had during the onboarding. Using OWOX, I could finally conquer the massive amounts of marketing data and pull it up in one place. OWOX is able to complete dozens of tasks. It automatically imports data from many sources, helps to build clear reports to calculate LTV, CAC, determine the ROPO-effect, evaluate the impact of each session of a customer journey so . I now understand at which point the customer decided to convert. All this invaluable data helped me actually increase profit almost twice. No way I could do it without OWOX. Thanks guys! "A helpful consultancy about Google's products"
We were on the lookout for a good training about Google Tag Manager & Analytics. We looked their references up and decided to ask them over to Estonia. What was great about OWOX was that their Sales Manager, Mariia was really helpful and kind enough to keep the conversation going, even when we had some internal things to sort out. Once they arrived, she was a warm and compassionate presenter with her team. In the end, they stayed for an additional day to help us with our clients web analytics audits. There wasn't much to dislike. In some cases, when you present as a specialist and not as a sales person, you might go too deep into the subject and might be too monotonous about covering the topic. "A great tool that helps to improve your marketing"
We had like gigabytes of data to work with every day. And we were looking for a tool that would help us not only to combine the data on web behavior and from the app, along with the ad cost data and completed orders from the CRM system but also build a single automated marketing report based on this data. And we found such a tool in OWOX BI. No complaints, completely satisfied with the service. With all the combined data, we obtained an automated single report for our business KPIs. Thus now we control the bids for the ad campaigns in near-real time and ensure the marketing budget is not going down the drain. Plus due to this report, we can measure the performance of all the advertising channels, across different platforms that help us to optimize our marketing efforts. Not long ago our CPA expenses went high up, but the revenue from our partners remained the same. Moreover, the bids on our brand ads rose as well. As we have multiple CPA partners, it was a sticky situation trying to find out who exactly acted in bad faith. We came across the Raiffeisen and OWOX BI’s case and read how these guys fought CPA fraud. This is how we started cooperating with OWOX BI and never regretted it. We had to stop cooperating with some of the CPA partners, but we finally knew the reason for the unexpected expenses growth. Today we only work with the affiliates that are reliable and trustful. "Helps to measure metrics that you lack in analysis"
OWOX BI is probably the only marketing tool that lets you evaluate the ROPO-effect. You never can tell exactly how your online marketing campaigns influence physical purchases. But OWOX BI can help you calculate these figures and understand whether your ad costs are justified. It will require some analytical skills to work with ROPO analysis. Though, they provide extensive information in their blog and have very friendly customer support. When estimating the revenue brought by ad channels, we realized that it’s not enough to calculate online purchase only. We used OWOX BI to gather and merge raw data, including offline sales, online sessions, order completion rate, and data from the CRM system. After building dashboards, we saw that 32% of our clients visited the website before buying at the store. This helped us reconsider our online marketing strategies. "A very useful tool for marketers"
A great data collector that’s useful for marketers. It provides an accurate ad cost evaluation. There’s a bunch of reports with valuable and detailed data that gives a clear understanding what channel brings profit. It’s like an optimized connector between various services that opens your eyes on what’s really effective. Works only with API platforms. This is the only cons so far. A handy tool for analytics and marketing. I like it because it saves hours of time.. It simplifies the work with loads of data. It quickly exports information from multiple channels so that it’s easy to see the results of your ad campaigns within one dashboard. . Also, I think OWOX has many advantages over Google Analytics because it works with unsampled data. The product lets you create custom reports without any restrictions on parameters. "A good solution to measure your ROPO effect"
Our CEO was planning to cut the budget for online advertising that we had on our site, unless we demonstrate that it really worked. The online sales were not enough to prove it, so we contacted the experts from OWOX BI and asked for their advice. As they said, because we had 134 brick-and-mortar stores, we could greatly influence our offline customers’ decisions with our online efforts. This lead us to ROPO analysis and with OWOX BI products we found out that about 23% of our customers buy offline, thanks to banners and special offers on our site. As a result, we even received additional money to experiment with our ad campaigns. "Simplifies marketing decisions based on data"
I like that OWOX BI lets you merge and calculate enormous loads of data without errors and also obtain detailed reports in one interface. Now we can review all ad costs, gather user behavior data, as well as path length before a customer makes the purchase. Actually, OWOX BI is capable of pulling up any required data, you just need to customize your reports by marketing metrics. It would be great if they could keep users informed on every update and provided additional articles on that. OWOX BI automates data transfer from different services and platforms. We mergeall data, including online and offline sales and get a clear understanding of how this or that marketing decision influences the revenue. This tool is really useful as it helped us improve our business strategies. "A helpful tool for data gathering and analysis"
Outstanding customer support and brilliant functionality of this service helped us improve our marketing strategies. The tool works with raw data without sampling. We use it to bring up a gigantic amount of data from different channels. There’s no need to export data manually, everything is done automatically. Sometimes there’s a short delay with data import from ad services. But in general, it works without a hitch. It turns out that data storage and processing in Google BigQuery is a lot faster and convenient. OWOX automatically exports all marketing data from Google Analytics, CRM system, and ad platforms to BigQuery that displays everything within one interface. The obtained reports take into account all costs, CRM data, so now we can view all our KPIs in one place and make strategically efficient marketing decisions. "End-to-end analytics for your business"
OWOX BI is a multipurpose tool. It helps our marketing team to overcome all the difficulties of the data analysis. The service has been very helpful in data collection from different advertising services, call tracking system and our CRM tool. We now get crafty reports with a bunch of useful KPIs that help us to optimize our marketing decisions. "The best solution for working with raw data"
When I first discovered OWOX, I was surprised how fast and easy it is to import data, combine reports with CRM data and online sales, and see all revenue on a single dashboard. Now I know exactly how effective is our advertising and what has attracted our clients. I don’t have complaints about the product. So far, so good. A great thing about is that it works with raw data. It lets you use various combinations of custom metrics in a single report, which you can’t do in Google Analytics, especially if you work with a huge amount of data. OWOX merges all data in Google BigQuery and calculates it right there. More to it, I can include the CRM data in such report to see if our marketing efforts were justified. "It’s like your best marketing-analytics assistant that does more than you expect"
I love everything about OWOX BI. This advanced tool does so many tasks that you can just sit there and reap the benefits in the form of insightful reports. It helps us view daily reports with data from all our channels and determine metrics we need to know to optimize business almost on the go. Some may think the price is high, but we quickly realized that OWOX BI actually helps us save even more. As a retailer, we use many channels to connect with our customers. OWOX BI let us collect data from ad platforms, call tracker, CRM system, and Google Analytics, and then import and store it in Google BigQuery. We now adjust reports to view data on all users’ sessions and quickly determine our weaknesses. "Really cool tool for optimizing and scaling your Google Analytics data." The ability to import all Cost data to Google Analytics really helps to analyze ROI through all the channels and then make a business decision based on that data. Also, UI is quite nice and clean and support team is awesome! There is some form of bug, where some channels do not receive incorrect cost data, but guys explained to me that this mostly on GA side, not OWOX. Using OWOX BI, we managed to minimize the workload and took our analytics to a whole new level. This software simplifies data import and helps us collect all cost data from several different sources. It also brings up a complete picture of ad spend. What’s really helpful is the ability to determine how online advertising impacts offline sales. The onboarding process takes time. I’d say, don’t expect to get into it right from the start. Though OWOX has outstanding support so you’ll figure it out anyway. Now we see which channel performs better and which one drains our budget. It provides all marketing reports. It also allows us to analyze each users’ session before the purchase is made as well as take into account sales in physical stores. "Your ads will be sure to pay off every penny you spend on them if you use OWOX BI!" Leveraging our advertisement campaigns has actually become quite a task because we got lost in literally tons of ads. We needed to unite all of them in a single interface and to save us from browsing so many systems in search of results. We started off with using the trial period for OWOX BI, and got really into them. Once we got to compare the performance of our channels in one system, we could easily define the ones we didn’t need anymore. And OWOX BI showed us the campaigns that we underestimated. What a find! "Very useful marketing analytics tool"
I like that OWOX BI can be used in many ways for business. It works as a marketing analytics tool, providing data on ad costs, revenue, and user behavior, offline and online sales. But what really impresses is that it’s able to import loads of data from different systems and platforms, and genuinely interact with them without a hitch. It took me some time to find the needed filters and build reports as needed but I managed them anyway. With OWOX BI I can now build custom reports from the merged data that this tool exports to Google BigQuery. The reports show which ad costs didn't live up to my expectations. So I reduced them and increased sales through other channels almost 2 times. "OWOX BI is our time saver!" Our chain of shopping malls suffered from a lack of time, spending days to create a single informative report to view the data on all of our channels. Our team sometimes even felt demotivated as they had to regularly waste time on tasks that could be automated. This is why we chose OWOX BI, to bring in more order and accuracy to the processes done by a man, and to let our analysts and marketers focus on what’s really important. Not only OWOX has proven to be one the best services for analytics ETL tasks, it also provides a truly customer oriented support via chat/phone at almost any time. No matter how difficult your problem/question is, they are always there to help you right away. Strange funnel attribution results? Fixed. Need to change pipelines’ VAT calculation results retrospectively? No problem! What a team! "The cozy way to get all your cost data to GA"
The features I like the most are speed, support, and raw data. You get to see the info on your non-Google ad services in the Google Analytics interface with just a little effort. Need to subscribe to a paid plan if you need more than two pipelines. Owox good tool which will save you a lot of time and help collect all business data in one storage. Also data from Ad accounts(Facebook, Google Ads, etc) automatically will stream to Google Analytics. Budget allocation and ROI calculation. It’s vastly easier to compare costs in a single interface.
" OWOX is a great marketing assistance"
It does not just gather data, it provides valuable and clear information across all your marketing channels in one place. I usually work with tons of raw data, and OWOX BI helped optimize this process. It might seem a bit complicated at first sight but I don’t see any faults with the product. Turns out OWOX works as great marketing assistance for me. It provides profound analytics that precisely evaluated the effectiveness of your ad campaigns. Now I don’t deal with vague figures and able to re-allocate the budget on more profitable sources. "A super useful functionality that makes your marketing life easier"
It’s a flexible and handy service for marketing analytics that has literally made a world of difference in our daily routine tasks. It helps us collect data from different platforms, process it in near real-time, and then built full-fledged reports covering all marketing KPIs on a single dashboard or report. The onboarding may scare you off a bit. But once you dig in it all makes sense. OWOX BI is an indispensable tool when it comes to marketing reports. We finally get comprehensive datasheets with every metric we need to know. The data is merged from Google Analytics, CRM system, and ad platforms. No more discrepancies, just clear-cut insights on what works and what doesn’t. "Really good solution to import advertising costs in GA"
We use OWOX BI to gather cost data from different ad platforms in Google Analytics. It’s a great tool that allows us to import all costs automatically on a daily basis. OWOX BI pipeline works efficiently and accurately. Besides, it allows us to retrieve up to 6 months of historical data from ad services and consolidate it in Google Analytics account. This instrument saves us a lot of time on reporting and data analysis. We’ve been working with OWOX BI for more than one year and are really satisfied with their support - they always provide fast response and professionally solve all queries. No, but you have to buy a paid plan if you need more than two pipelines. We definitely recommend OWOX BI for those advertisers and digital marketers who need to bring together tons of data on advertising costs and see the full picture of how effective their marketing spend is. "This is not an average marketing tool, its authentic"
Initially we thought that it is a bit costly, but it actually pays off. So, I got nothing to complain about. I get a huge pile of cost data. OWOX BI helped me bring up all stats in Google BigQuery. I store data, build informative marketing reports, and even do cohort analysis - all in one system. In fact, I can now review the exact revenue brought by each channel as well as CRM data and then redistribute our budget accordingly. Thanks to OWOX BI, our marketing costs got 15% more efficient, which is enough proof that this tool is worth a shot. "Awesome functionality to solve your marketing tasks"
I like OWOX BI because it’s a real time saver for our marketing team. This service combines data from the site, CRM system, and ad costs. It allows us to adjust all information in visually comprehensive reports. No more human errors or deviations that often occur when you combine and calculate data from different sources. OWOX BI enables you to view only actual data. You might need some analytical background to understand the entire functionality but if you have someone within your team, it won’t be a problem. First of all, we optimized data processing, saved hours of managers’ time, and managed to create in-depth marketing reports for our marketing team. The data collected from the website, CRM tool, and ad platforms is done automatically, and as a result, we get a clear picture of what works better for business. Other than that, OWOX BI can solve difficult marketing tasks like checking the traffic source, evaluating the impact of each step of the funnel, measure the ROPO-effect, and more. So, you might want to take time to dig into the functionality. "Easy way to analyze your data"
I found that OWOX BI provides more accurate marketing data. It can handle a large amount of data from multiple channels without any deviation. Now, I can reallocate the budget without critical losses. It really saves time and money. I think the Basic package can be used only when you need to figure out how it functions and in the case you don't have huge amounts of data. To get the maximum out of this software for business, it's better to use Business pricing plan which might be a bit costly especially if don't get into the system right away. Using OWOX BI tool, I merge all data from Google Analytics, various ad services, Google Sheets, and our CRM. Now I can view all marketing KPIs on one dashboard and clearly see what channel brings me the targeted leads. This also helps me make right decisions and implement changes to improve results down the line. "Great software with advanced analytical abilities"
I like OWOX BI for its ability automatically to bring together the needed data on advertising costs, users’ sessions, and CRM data. Now I don’t have to pull dozens of reports because the software has advanced analytical abilities. It helps to track all important metrics and allows you to use more options other than default reports. Basically, you set up data export and merge it according to your needs. I’d recommend to consult their blog and learn a bit more about the software before getting started with the trial. Otherwise, you’ll waste at least two days on understanding what it does, which was my case. I solved ad costs reporting, discovered the channels that were not effective for my business and shut them down while re-allocating the budget to the ones that performed better. I also gave up on Google Sheets and started exporting data from there and from Google Analytics to Google BigQuery. It saves hours of time and simplifies the decision-making process. High level of specialists competence. Due to the expertise of our colleagues and their readiness to solve non-standard tasks, our project has been successfully implemented and we are actively continuing our cooperation. Everything is perfect. Currently, there were no negatives. The OWOX team is distinguished by high professionalism and customer-oriented approach. A great tool to move our business in the right direction. Realization of end-to-end analytics online-store. Segmentation of customer base. Construction of cohort analysis. Possibility of obtaining data without sampling, automation of processes. Integration with basic services. Fast and complete answers from technical support. Streaming data allows you to get information about users in real time. There is not enough technical articles to explore new features and functionality by yourself. OWOX BI Streaming makes it possible to automate the transfer of data, build a system of cross-cutting analytics. Custom reports with data without sampling significantly help the marketing team, and the team as a whole, provide an opportunity to make timely decisions. "A company that helps to make better decisions"
Besides the collecting user behavior data in a big data warehouse and building the needed reports, OWOX experts visualized the data in form of interactive dashboards. As a result, we received a dashboard displaying how purchases are segmented by ad source, region, business group of categories, and the path length before the purchase. Would be great to have more tutorials for working with this tool. With OWOX BI we understood which channels perform better at the upper funnel, middle funnel, and lower funnel and we also saw which channels perform better in a particular segment. Now we are planning to review and reallocate our marketing budget based on these results.
" Excellent product, helps to make the right decisions, highly recommend"
We like that with the help of OWOX BI we managed to connect orders in our CRM, all clicks, visits and events on our website, the data from call tracking systems and ad campaigns in different ad services. All integrations took us some time, but now we can see the whole picture and work properly with all necessary data. Now we can evaluate all our business efforts and make decisions based on data. "The best tool to collect website user behavior data"
We wanted to increase revenue from online sales using direct marketing namely by sending or clients cart abandonment emails. With OWOX BI products we were able to collect website user behavior data in one data warehouse, merge the data about users and products, and finally create a file with parameters needed for our email marketing. It was a bit complicated to figure out how to set up the data flow at first but the support team helped us. We needed to create a segment of users with abandoned shopping carts and contact such users within an hour after they leave the website. It’d be difficult to do everything by ourselves so we’ve chosen OWOX BI products to implement our plan. And it didn’t take long to see the results - we’ve achieved quite high email-to-sales conversion rate by sending out cart abandonment emails to identified users. "Yana P., Head of digital"
I like constant updates and improvements, fast integration, data from different sources collected in one warehouse, import all Cost data to Google Analytics, correct budget allocation based on correct CPO and ROPO. Frankly speaking, nothing. Great tool. Support team is always intouch and ready to help. 2. CPO and ROPO estimation (we're omni-channel project). 3. Correct marketing budget allocation. The main benefit is significant ROMI decrease. "Amazing tool for quick data import"
It turned out that OWOX BI not only transmits full data on all ad campaigns, it also helps to find critical bugs on the website. Using this software, we set up a code to monitor and collect data on errors in Google BigQuery. So, it helped us determine the exact number of bugs we missed. Looks complex for me although the trial was useful to get a better understanding of the functionality. We've noticed a decrease in conversions in our online store due to various errors. Using OWOX BI, our team managed to find all bugs on our checkout page and determine how they affected the revenue. A single interface to compare how well your ads work! "Great tool for ad reports!" We have been working with OWOX BI for several months and now we can claim that it let us merge raw data from analytics and advertising services, and automate ad campaign reports as soon as possible. Everything is fine, but it’d be great to have more technical articles about the functionality of the product. OWOX BI helped us to evaluate the performance of our advertising campaigns and marketing activities. 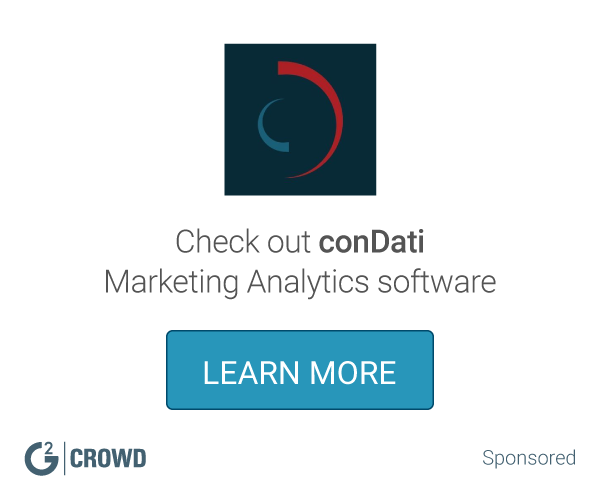 "A handy marketing software that automates data collections"
I really like the OWOX BI product. It has useful features to meet our marketing needs. There’s an advanced option for a data export from ad services, CRM system and website to BigQuery and/or Google Analytics. This tool is also capable of solving such marketing tasks as measuring the ROPO effect and cohort analysis. Really worth the buck! Some parts of the functionality are a bit tricky to use; however, OWOX BI provides detailed how to articles. Ever since we've started using OWOX BI software, our revenue increased x2.5 times. The service helps us to evaluate the needed KPIs, review all cost data and sales, and conduct analysis for more effective budget allocation. In short, if you want to implement end-to-end analytics in your company and optimize the work of your marketing team, OWOX BI is the best choice. "Powerful and useful service for marketing-analysts"
I like the way OWOX BI aggregates all marketing data from various channels, traffic sources, and even CRM system. It helps you visualize all needed metrics in comprehensive marketing reports, which you can share with your sales team and CMO. There isn’t anything that bothers me. Love the service as is. I usually spent more than 4 hours to build reports and simply review cost data without analysis. OWOX BI helped me save this time by automatically merging all data and exporting it to Google BigQuery. I now can create an automatic marketing report on one dashboard to evaluate ad cost data and orders from the CRM tool. It’s a lot easier for me to visualize the results of our marketing efforts and then make important decisions as to the business strategies and budget allocation. 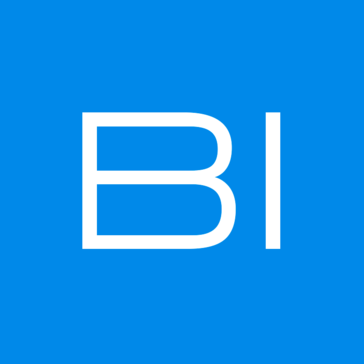 OWOX BI allows us to collect all marketing data, export and combine it in Google BigQuery. It’s more useful than Google Analytics because it’s able to process raw data and pull everything from different services, including CRM and call-tracking systems. Basically, it meets all marketing requirements. The onboarding may take more time for larger teams. In any way, they have very responsive support managers. We have gigabytes of information that we collect using Google sheets, Google Analytics, CRM system, and a call-tracking tool. It was challenging to combine all data to view the entire statistics on a daily basis. With OWOX BI, we finally can export and evaluate all marketing KPIs in one place. It saves time on routine work and helps us to allocate team efforts more effectively to achieve our marketing goals. * We monitor all OWOX BI reviews to prevent fraudulent reviews and keep review quality high. We do not post reviews by company employees or direct competitors. Validated reviews require the user to submit a screenshot of the product containing their user ID, in order to verify a user is an actual user of the product. Hi there! Are you looking to implement a solution like OWOX?